Every year on May 9, the public organization Forum holds a major event – Wерни Wетеранам Wеру (Return faith to the veterans). 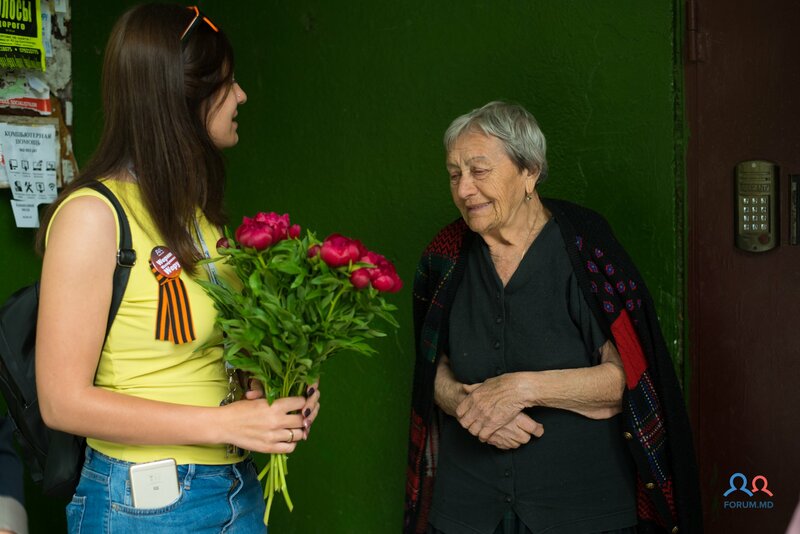 This is the day when activists and volunteers visit the veterans of World War II to personally congratulate them on Victory Day, express them respect and gratitude, as well as present them with flowers, gifts and badges with the symbol of the event. Every year, more and more young people take part in the charity event. For them, not only congratulating the veterans matters but also listening to the stories of the direct participants in those events of long ago. For young people, the stories told by veterans are a real lesson of spirit, courage and resilience. Unfortunately, many of those who experienced the hearth of terrible war, today live on a shoestring, in sheer necessity of the most elementary things. But, in spite of this, the veterans keep true grit and faith that their exploit will not be forgotten. To ensure that the veterans of World War II could forget for a while about the difficulties they face every day, volunteers bring them gift sets. 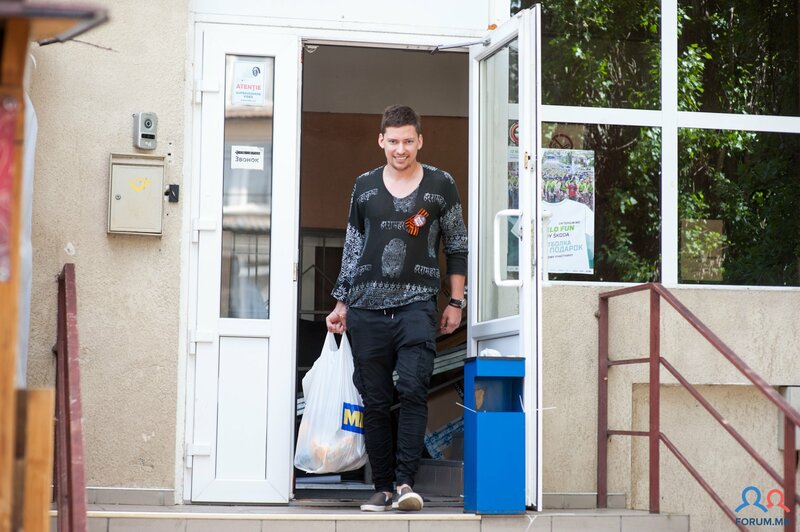 Foodstuffs, household detergents, various products – all these are bought for money collected by citizens of Moldova. This year over 10 thousand lei was collected. Out of this money, the organizers spent 8,787 lei on products, 300 lei on St. George’s ribbon, 1200 lei on badges in memory of the Return faith to the veterans event. In addition, we bought flowers, so that every veteran received a bunch of live spring flowers. 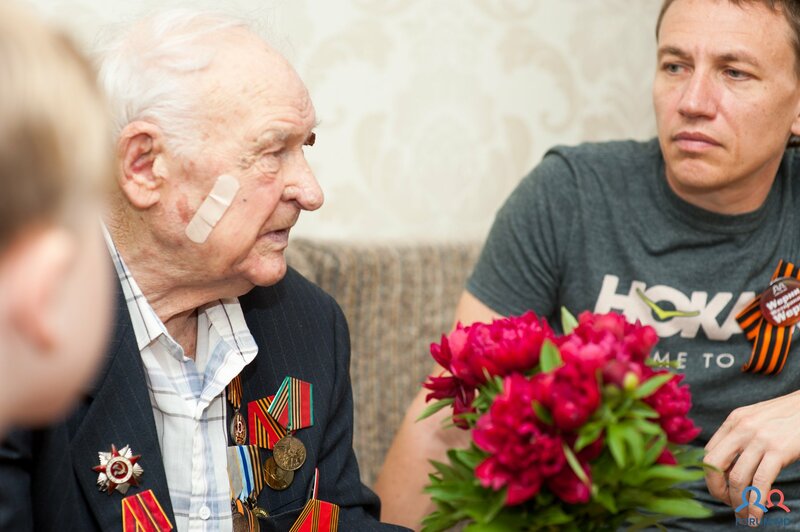 Activists of the Forum together with 20 volunteers managed to congratulate almost 60 veterans. Representatives of the Roller Sports Federation under the guidance of the trainer Gleb Zaitsev took an active part in congratulating the veterans. “On May 9, we intended to congratulate 80 veterans, but unfortunately, we weren’t able to visit all of them – the veterans, whom we came to visit, wouldn’t let us go so fast. They invited us to the table, put on their medals and decorations and told us about their lives. We listened and wondered how many trials they have had. 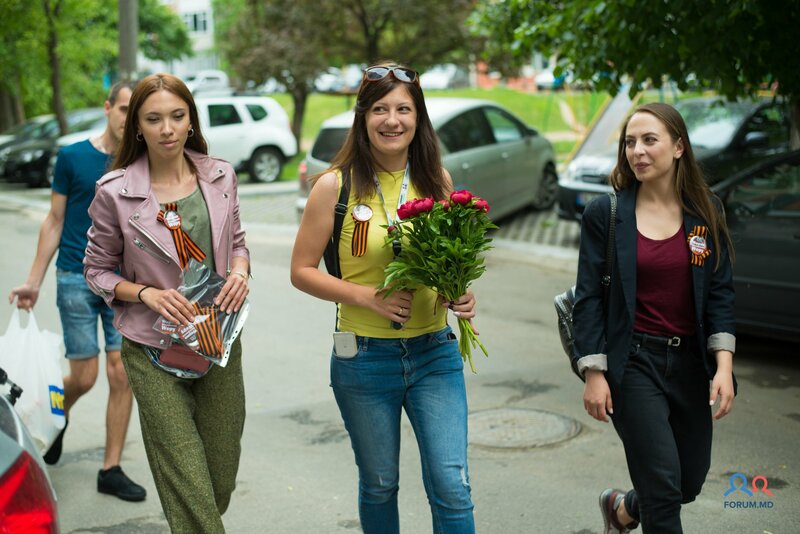 We very much want to congratulate the rest of the veterans, therefore we will present them with all the prepared gifts within a week”, – says project manager Alexandra Rumeanteva.